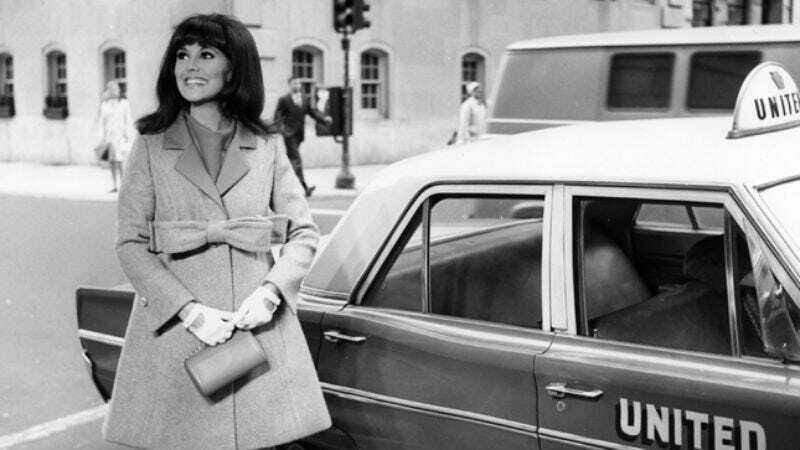 The actor: Marlo Thomas, who emerged early from the shadow of her father—comedian Danny Thomas—when she produced and starred in the proto-feminist sitcom That Girl while still in her twenties. Thomas went on to become a staple of TV movies during the genre’s heyday, and to produce and host the groundbreaking children’s entertainment franchise Free To Be… You And Me. Thomas’ latest project is an offbeat autobiography, Growing Up Laughing, which combines memories of her father with insights into her own adventures in comedy, a handful of her favorite jokes, and interviews with top comedians about their craft. It’s available now in paperback from Hyperion. Marlo Thomas: I did all those shows like 77 Sunset Strip and Ben Casey, all those kinds of dramas that they had on at that time. And it was great. They don’t have so many series like that today because reality television has taken over. There’s not a lot of places for younger people to go. Even when you do a Law & Order, which I’ve done, they use more famous names. But in those days, TV was a great training ground for young actors, because there were just millions of shows that we could do. Bonanza. I played a Chinese woman on Bonanza. You could never do that today. They’d picket the studio if an American Caucasian played a Chinese girl. But in those days, it was like the Wild West. We could do anything. It was great training. So anyway, I did a play, which was Under The Yum-Yum Tree. And they asked me to do The Joey Bishop Show, and actually I’m sorry I did it, because it really wasn’t a good show for me to work on. It wasn’t creative enough. It was very… What’s the word? Calcified. They had an idea of what they wanted to do, and it wasn’t freewheeling or improvisational. It was exactly the kind of work I don’t like to do. The A.V. Club: Were you on the first season or second season? MT: The first, but not for long. I quit. AVC: The second was better. They changed the format. MT: I guess, but I couldn’t wait to get off. AVC: Did you know Joey Bishop from your father’s showbiz days? MT: Sort of. I’d met him, but he wasn’t in my dad’s real close pack. He was younger. My father’s pack was George Burns and Milton Berle. Bob Hope, those guys. The Sinatra group: Dean Martin, Sammy Davis, that whole group. My father is Frank Sinatra Jr.’s godfather. Our families were very close. I talk about that in the book. My father and Frank Sinatra and those guys all worked the same nightclub circuit. In the ’50s and ’60s that was a very big part of the livelihood of performers, like comedians and singers. They’d play the Sands hotel and the Fontainebleau in Florida and the Chez Paree in Chicago. They were always following each other, and caught up with each other that way. They were really a close-knit group. I don’t know if this younger crowd of comedians that I interview in the book hangs out with each other the way my dad’s group did. At our house there was some comedian at the table almost every night of the week. My dad’s friends were always there. Phil Silvers, George Burns, Milton, Bob. They were always around. They hung out together, and went out to nightclubs together in L.A. Even in my dad’s last years, he died at 79, and I would say all through his seventies, they all went to dinner at least once a week. And they appeared in each other’s work more. These younger guys—and I say younger guys even though Jerry Seinfeld is 50 years old, but I mean younger than my dad’s group—they have their singular careers. But my dad’s guys worked in each other’s television specials. My father did, I don’t know, two, three dozen television comedy specials. And so Bob Hope and Milton Berle and George Burns and Sid Caesar and all those guys went on his specials, and then my dad would do a Bob Hope special. And Jack Benny. They all lived in Beverly Hills, just streets apart from each other. Did you see that photograph in the book of all of them on my dad’s 70th birthday? That’s quite a picture. I don’t think that there’s any picture like that. Everybody who saw it called and wrote me and said, “Could you get me a copy?” All the children of those comedians. Because they didn’t have the picture, and they’d never seen a picture like that. It was like the Mount Rushmore of comedy. MT: No, I was never on a Danny Thomas Show. I was on this thing called The Practice with my dad, that my brother produced. They asked me if I would guest star on that, and of course I did, and it was great fun. But I was never on his other show. I had him on That Girl a couple of times. AVC: They have a bad credit then, on the IMDb. MT: Well, nothing’s ever right on those things. AVC: What was your working relationship like with your father? MT: Oh it was such fun. Because my dad was very funny at home. Unlike some comedians, he was a guy who loved to make his kids laugh and have his kids make him laugh. He got a big charge out of us telling a joke or doing any kind of storytelling well. It was not only his life, but his passion. He loved telling stories. So when we would tell a story to him, he would say, “Oh, yeah, you know what would make that story better? If the guy was from China.” You know what I mean? He would always improve it so we could get a bigger laugh the next time we told it. I always found that very endearing about him. So when he came on the show with me, it was just fun! We had a laugh. AVC: In the book, you mentioned the contribution of writer Ruth Brooks Flippen to That Girl. She had worked on Gidget a year or two earlier, which unlike a lot of other sitcoms at the time was really smart about developing the friendships between its female characters, and showing the way young women interact. I didn’t want to destroy the fabric of the relationship and the believability of this relationship to get a laugh. There’s one thing that I learned from my father that I have always remembered and that is, “Your audience will go with you anywhere. They’ll go down any yellow brick road with you as long as you don’t lie to them. But if you start taking detours just to get a laugh, you will lose them.” And I completely believe that to this day. I always think of that in my work. And so I would fight, tooth and nail. Then when Danny Arnold came on board as a producer that second year, our show got much better. The first year was funny and darling and became a big hit, but the second year started to have more heart and soul. Because I had said to Danny, “I’m just battling this all the time. Can’t we have some more female writers?” And he said, “I think we need a female story editor.” And I said, “Great.” And that’s when he brought in Ruth. And as I say in my book, it was like we became the Red Army. I finally had somebody who could stand with me to say, “Yeah, you know, a girl wouldn’t say that.” That was a big help. AVC: Was it difficult to come up with the opening “that girl” gag week after week? And the title… I actually thought up the idea for That Girl, but I called it Miss Independence because that’s what my dad used to call me. Ed Scherick, who was the head of programming at ABC at the time, said that it sounded too much like a 1930s Irving Berlin musical. Billy Persky came up with the title That Girl because he had a sister and his father always said, “That girl’s gonna drive me crazy,” or, “You know what that girl did today?” He thought it would make a great title. MT: The TV critic in Boston said, “Keep your children away from this,” because it really frightened him. He really thought that the idea that boys could have a doll or that boys could cry or that girls and boys could share the world together just seemed against the natural order. As it does to many people to this day. I mean, there are many people who actually think that women shouldn’t get high-paying jobs and all that. You know all the stereotypes. When I made the album, I was really making it for my niece, Dionne. I had awakened politically through That Girl, and I already had a feminist bent anyway, because of how I was raised, surrounded by all these dominating men. My father was one of nine boys, so I saw a lot of marriages where the men dominated the women, and I knew that that wasn’t what I wanted in my life. I was a pretty independent spirit. As I said, my nickname was “Miss Independent.” I was sure to have my own voice because of what I had seen with my aunts. I couldn’t tolerate that my niece would be growing up with this mindset. I went to the record company and told them that I wanted to do this project, and because I had a big name, they said, “Sure, but I just want you to know that these albums don’t really sell more than, like, 15,000.” But we went gold the first month. It just took off. And it took off because teachers really loved it. I got the Teachers’ Association award and the Librarians Of America award. They really loved it. It was put into 35 state school curriculums. It was a way to teach ethics and moral values and how to behave in the world. Kurt Vonnegut wrote in the afterword that he’s always thought that there should be a manual for every child when they’re born to tell them how to live on the planet so they won’t fall off of it. And he felt that Free To Be was that. I think that’s why it stays strong today. And the 35th anniversary edition came out a couple years ago and sold very well, so now they want me to reissue Free To Be… A Family, which was the second one. It’s interesting. No matter where I go, whether it’s through security at an airport or in a corporate office, there will be people inside those places that’ll say, “I grew up on Free To Be,” or, “I’m raising my children on Free To Be.” So I think it really did hit a nerve. Because everyone knows these things. It’s no secret. If you have children, you know. It’s so easy for children to fall into a stereotype. They’re just there. I don’t know how the heck it still bleeds through, but it’s still there, the way that boys and girls are given different messages. MT: We left it in the same era as the original, the Capra film, It’s A Wonderful Life. My husband, who was played by Wayne Rogers, went off to war and came back and all that. It was a good movie. They played it four years in a row around Christmas time. We struggled with whether to update the story for the ’70s, but then we decided, “You know what? This is just how it has to be.” It’s like Mildred Pierce. You look at the new Mildred Pierce and I mean, it has to be set then. You can’t just re-set it to now. You know, the Savings & Loan and Uncle Willy and Mr. Potter and all that. It’s like Dickens. You can’t make Tiny Tim be 2011. MT: I love that film. It was based on an Heinrich Böll story. I think he won a Nobel for it. I know he’s a Nobel laureate, I just don’t know if it was for this story. And it was made into a German film first, by Volker Schlöndorff, a great filmmaker. I don’t know how I saw it; I think I must have been at a film festival or something. I just thought it was a great story. So I went to Alan Dershowitz, who was a friend of my husband’s, and I asked him if this story was possible in America. It felt like it was, but I wanted to be sure. Is it true that the police and the press would conspire to get somebody to talk? And he said, “Absolutely.” He had all kind of examples. And also examples of how suspects have rights, but witnesses don’t. He showed me a case where a witness was held up in a hotel room for weeks to try to get a story out of him. There are no Miranda rights for witnesses. I needed to know that information to be able to make that film. Otherwise I wouldn’t be able to sell that to a network, if it wasn’t really about America. Also, who wants to sell something or show something that isn’t true? Because I definitely wanted to Americanize it. Alan went with me to CBS to sell it, to tell them these stories. In fact, when I was first telling people about it, they kept saying, “Oh, that couldn’t happen in America!” So before the film came out, we sent all the TV writers a little brochure explaining how this was accurate. Alan Dershowitz wrote it. I didn’t want anyone writing reviews talking about whether or not this was legitimate. I wanted them to judge the film on its merits. You either like it or you don’t like it, but I didn’t want a debate about whether or not this could happen in this country. And sure enough, all the reviews said this is something that’s so relevant to America. [Laughs.] That was great. We knew the way to do it. AVC: Did you find a great deal of difference between acting in a comedic role versus acting in a dramatic role like with Nobody’s Child? MT: Well, comedy’s more natural to me. Because you have to be real, but you don’t have to become a schizophrenic or an alcoholic or a myriad of things that you are not. With comedy, you can pretty much play your own sense of timing and sense of self. But what’s important about both comedy and drama is that what you’re doing is not a lie. In order to do Nobody’s Child, I had many, many meetings with Marie Balter, whose character I was playing, and she showed me her poetry and her letters and what she looked like and how she walked in those days and how her fingers were in those days. And I visited mental institutions and met with doctors and they let me meet with certain people so I could see what they look like in these different kinds of drugged states. I mean, it was a tremendous amount of research. But there’s no other way to do it. Otherwise there’s no point to it. You know, it’s interesting. I studied with Lee Strasberg, and one time a young actress was playing something out of A Streetcar Named Desire and it was really not very good. And you could tell that what was not very good about it is that she hadn’t put her heart into it. She hadn’t really decided anything, or explored enough of what the feelings of these people were. And at one point, Strasberg, who was a great teacher, stopped the scene and he said, “Darling, I don’t need you to read the scene to me. I’ve read this play. I need you to put yourself into it.” I mean, that’s the cleanest way you could think of it. People don’t come to hear you read something. They come to see you live it. How you live it! That’s the great Sandy Meisner: “Acting is living truthfully in imaginary circumstances.” Because you still have to live truthfully. That’s the rule whether it’s comedy or drama. AVC: You mentioned earlier how TV has changed and we’ve lost those episodic dramas like 77 Sunset Strip. Another thing we’ve largely lost are those prestige TV movies. MT: Oh, that is such a loss. Such a loss. I really mourn that loss. I made a lot of them. And they were great. In many ways, I think they were very inspiring to people, because most of the parts that I played was “the woman with a problem.” They used to call them the “woman in jeopardy” movies. It would be a woman with a problem and then she would go about solving the problem and then at the end she’d triumph. Kind of like how Joan Crawford movies used to be. And you know, they’re great. There were always two kinds of TV movies: “people getting murdered” movies, and then the more inspiring ones. I was in a lot of those. I worked with wonderful directors like Lee Grant, and cinematographers like Gordon Willis and Tommy Thompson and Conrad Hall. Great DP’s. And a lot of good actors. Martin Sheen, Kris Kristofferson, Wayne Rogers. It was a wonderful place to work. I mean, that’s just it. The places to work are closing up. And it’s too bad. The young actors don’t have the guest shots that were available because the more well-known actors are getting all those parts in all the procedural dramas. And the well-known people don’t have the avenue of doing full movies. So you know, it’s become a very tiny dance floor. AVC: … but on the other hand, if they’d been theatrical movies, they might still be around on DVD and TCM and in repertory houses. Do you think we’re doing a good enough job of preserving our television legacy the way we’ve preserved our film legacy? MT: Well, we are at the Paley Center For Media, which used to be called the Museum Of Television Broadcasting. They’re all there. And every now and then, one of them will play on a cable network. But I don’t think that they are as treasured as the feature films have been. And there were some great performances. Some really wonderful ones.